The spare engine only has 87,000km on it but i have no idea of its history. Should I do the head gaskets and valve seals as preventative maintenance or just install it and run it. Do you feel lucky at this point? The harder I work the luckier I get. So I guess it’s heads off funds permitting. 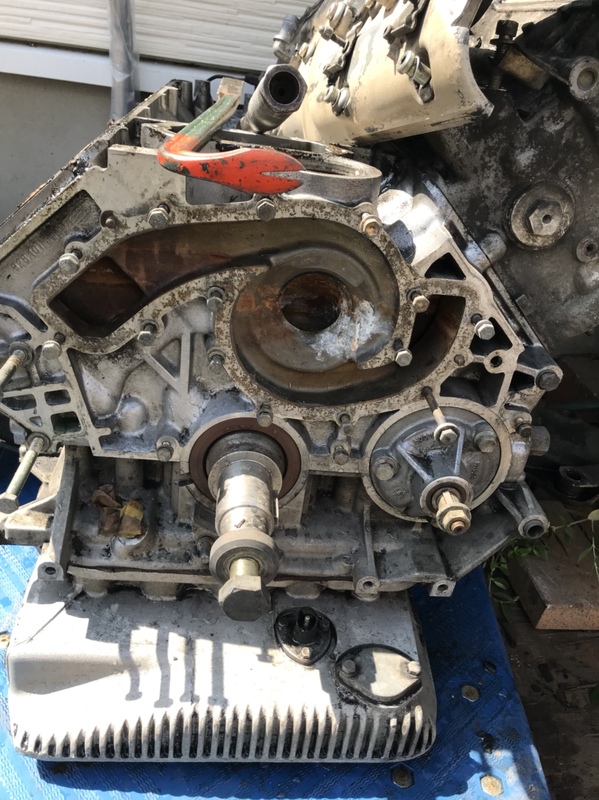 The spare engine is out. It’s on my garage floor. I’ll need a engine hoist to put it on a stand I just bought. Guess I can pull the heads as it sits then the block should be light enough for me to lift onto the stand. I wonder if I need any special tools? Thanks for the suggestion. I’ve pulled valve covers on 944s of all types. I’ve rebuilt my 930 and a Lancia Delta Integrale so I guess the 928 is with in my grasp. The difference is this time I’m doing it at home and not at a shop. I can borrow most of tools. But don’t know if they have the 928 tools for cam setting and I’m worried about pulling the cams. I have read a lot about stripped or broken nuts and bolts. I believe that most broken cam cover bolts are on 85-86 engines. The S4 bolts are made differently. Obviously, cam tools would be great, but I've seen it done without them. Slow, deliberate, and a little bit at a time were the optimal words I would use. Everything was fine upon removal. I would recommend a hoist as well for the heavy S.O.B. 930 Turbo - "Well Hung"
1984 928S - "Miss Purdy"
1987 911SC - "Frau Helga"
1986 930 - "Well Hung"
Last edited by JK McDonald; 08-27-2018 at 05:04 PM..
Found out my favorite Porsche shop here doesn’t have any 928 tools. Most shops here are deathly afraid of the 928. I know they do have a spring compressor. Question is can I replace the valve seals without the special tool? 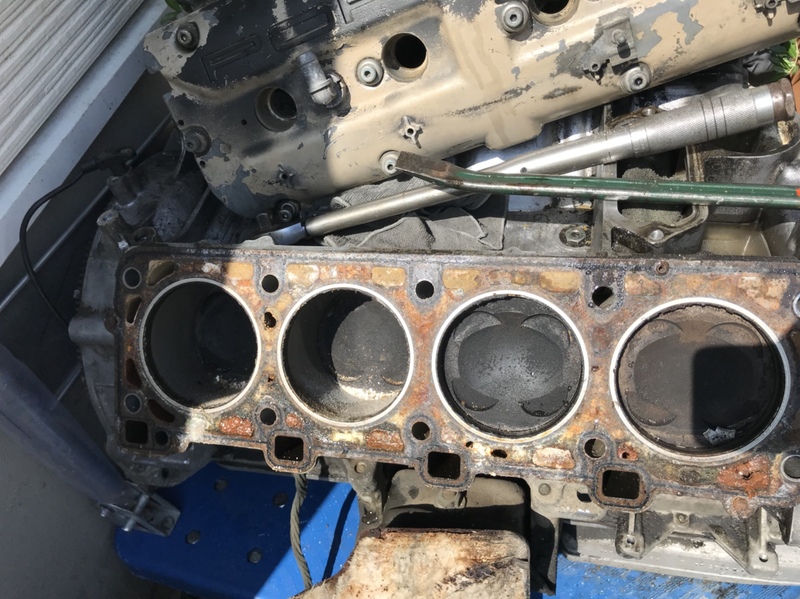 While working to breath some life back into a 1988 928 that had been parked for years I've even replaced a set of crusty/decomposing valve stem seals while the heads remained bolted to the block. I don't recommend this but at the time I was trying to determine the initial condition of the motor - Although the cylinder compression was good - it smoked like a diesel tractor pulling stumps when running. You make it sound easy. I do plan to pull the heads, give the valves and heads a proper cleaning. I’m guessing with the heads off and on the dinning room table and nice dish rag under the valves will suffice? I guess I shouldn’t panic having done my 930. But as I mentioned the 930 was done at a fully equipped shop and this 928 is my first home job. I plan to pull the heads this weekend. Hey Rufrob - Like others have mentioned before, if it was easy to get a 928 back up on it's feet, everyone would be driving one. Make sure to put a good layer of plastic and old towels down on your dining room table so the heads don't scratch anything. Your long suffering wife must be like mine and have a very good sense of humor. Honerboys and Stepson are right on target - just take it slow and careful and you'll be fine. Cleaning up the spare engine. Never seen this before. Broken water pump vanes. Most of it was sitting at the opening. Think I’ll do one side at a time. Less confusion and parts scatter. You should be able to use a magnet to get those WP impeller parts out of your engine. It’s a composite. Not metal. Sorry. The rust threw me off. Engine oil jet black with no water or metal. Guess I found the source of at least one oil leak. 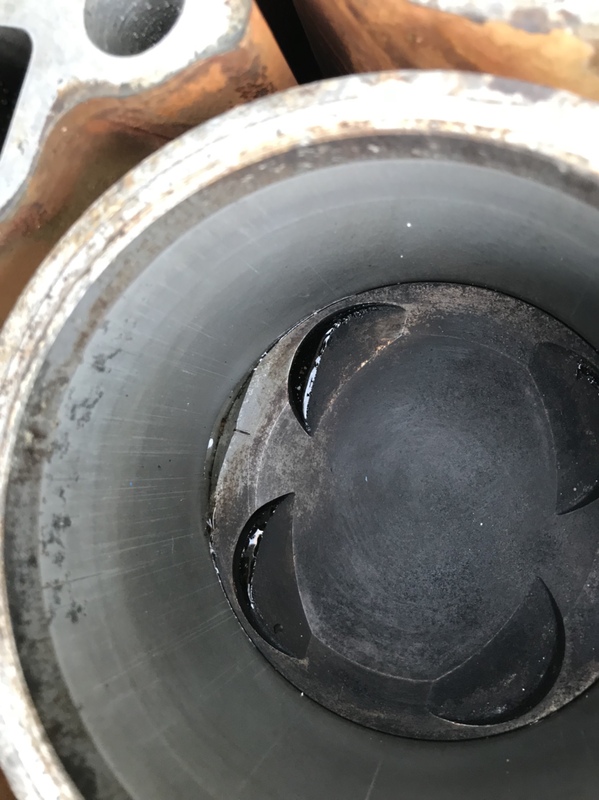 Hey Rufrob - It is never a good sign to open up the water pump cavity to find it's impeller broken into pieces. 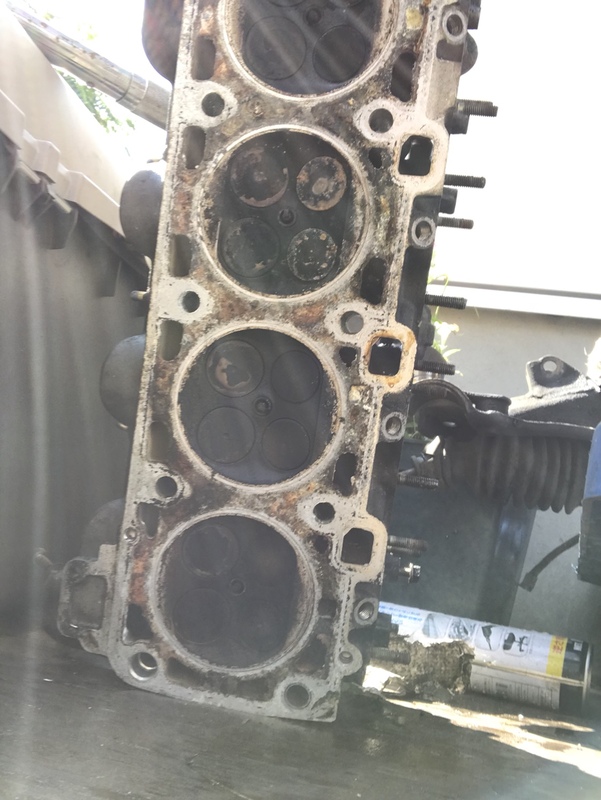 A serious high temp cycle can cause all sorts of problems for an aluminum 928 engine. The problem now is to assess the usable status of everything. Especially whether the unsleeved, silicon alloy engine block can be saved. I've read about a special process to over bore and re-etch the Nikasil cylinders to bring the silicon crystals back out as a wear surface again. 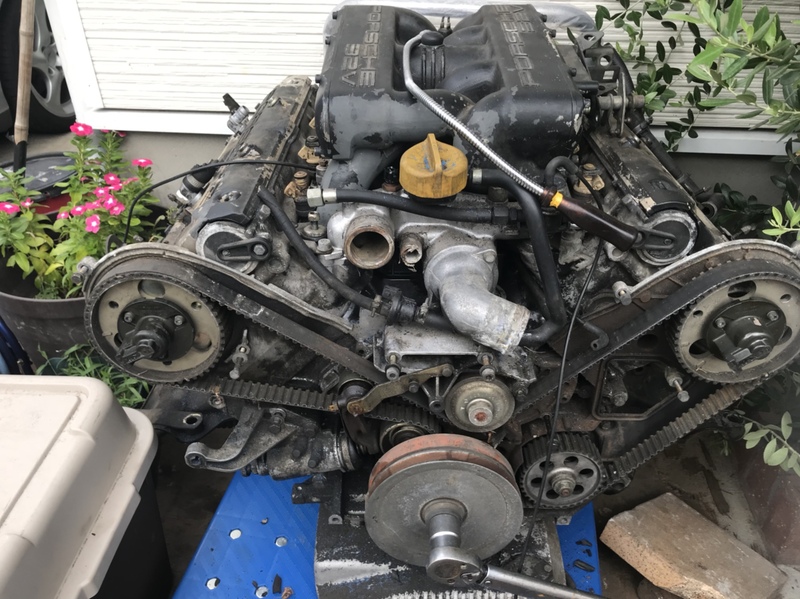 There are much more experienced engine builders here that can probably make some recommendations to help you decide on your options at this point.